Lay Eucharistic ministers and members of the parish staff visit and regularly bring Communion to hospital patients, homebound and nursing homes. Communion visits are made to homes of all who are unable to come to church. Each of the five nursing homes and assisted living centers have mass once a month. 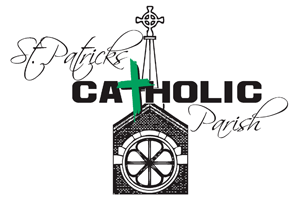 If hospitalized, homebound or in a nursing home and would like a visit, contact us at the parish office 721-6611. There is also periodic opportunity for sacraments of annointing and reconciliation. Training to become a Eucharistic Minister is offered by the Archdiocese in the fall. Contact the parish office at (402) 721-6611. Hospice is a program designed to meet the physical, emotional and spiritual needs of individuals and their families facing the final stages of a terminal illness. Our team of nurses, aides, social worker, chaplain and volunteers work together to provide compassionate quality care focused on comfort, dignity, and individual needs. Volunteers can provide a number of different services to hospice patients and their families, such as light housework, errands, office support, bereavement support, companionship and brief respite care. The need for volunteers continues to grow and many have found the experience to be deeply rewarding. Time contributions are flexible, ranging from 1-8 hours a month, depending upon both opportunity and volunteer personal choice. Please contact Kim Wiggs at (402)727-3747 for more information and for a volunteer application. Training will be provided.